Upon payment of the Paris Metro Pass, you may be able to acquire it by shipping delivery to various locations, preferably to the destination of your choice. In case of any rush orders, the pass will be delivered as soon as possible. While the pass is being delivered, the client is allowed to plan on any trip reservations in advance. The pass will be delivered on your specified location, which you should be able to pick- up at the time you specified. In case of any problems or revisions associated with delivery information such as place and time, you are eligible to notify us within 24 hours of your arrival. The pass will be shipped and may be delivered to your place of residence. However, any client must be present during the time of delivery and be able to acknowledge any receipt proving the success of the delivery of the pass. In case of any damage visible on the package, the client is eligible to specify it on the delivery receipt upon acknowledgement. For any damages or late delivery of the pass, you may contact us as soon as possible, and notify the problem promptly. 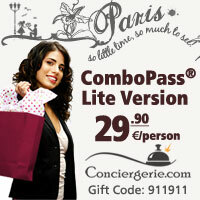 The Paris Metro Pass may also be delivered to a hotel. Although this is the case, delivery to a hotel is risky, and therefore we advise our clients to choose another pick up location or acquire it in Paris free of charge. We will be responsible for assisting you or the hotel during order pick-up, and shall be provided upon a proof of delivery. For any damages, misplacement or late delivery of the hotel, however, we shall not be made responsible. You are to demand compensation from the hotel for any loss of the pass you have ordered. Trip postponements notified within seven (7) days before arrival will allow the pass to be on hold for a maximum of one year free of charge. Cancellation of deliveries, on the other hand, will require a twenty percent cancellation fee, notified within ten (10) days. Shipping of the Paris Metro Pass internationally may not be refunded or returned; likewise, rush orders may not be cancelled or revised. Therefore the client is eligible to contact us in cases of non delivery within seven (7) business days to notify us of the problem. Refunding may be allowed if the pass is returned in good condition.